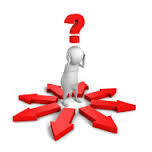 Obviously we would like to think that the design of the website guides you to where you want to be – but just in case!! If you know the subject or even course title that you are looking for, you can go straight through our Learning Opportunities button to our overarching plan and / or training calendar, or use the Resources A-Z. The latter will provide you with links to courses, e-learning, fact sheets etc. For a wider search, there are three main ways in – the Across the workforce button leads to a range of subjects which will be useful to people across the social care workforce. Some are specifically for Council staff, and those will state that, but the majority are open to the wider workforce, whether involved in assessment, care management, or direct delivery. We have then split some information, and direction to learning, across the two primary functions within the directorate; Social Work or the regulated workforce, and the Provider workforce. Some information and learning opportunities behind these buttons will be exclusive – for instance those relating to HCPC registration for professionals or to the Care Certificate for care providers. In other instances there may be different programmes of opportunities relating to relevant elements of a common subject – for instance the Care Act. The sessions for the wider, adult social care workforce are also available free of charge to family / 'informal' carers, and to Personal Assistants search A - Z.